The details of this accident have been learned, and this post updated. On the afternoon of October 11, 1942, a Vought SB2U-2 Vindicator, (Bu. No. 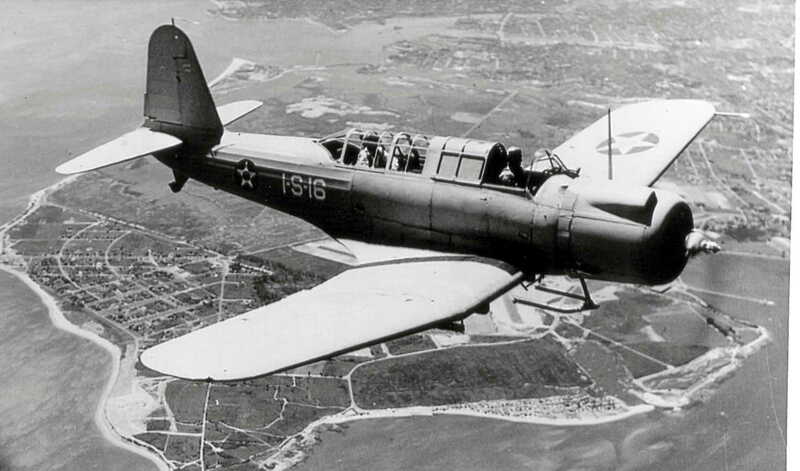 1342), with a pilot and radioman aboard, was participating in a dive-bombing exercise over Narragansett Bay. Other aircraft were also participating. The aircraft was seen to enter a steep dive on a maneuvering target boat from an altitude of 10,000 feet. When the pilot attempted to pull out of the dive at 3,000 feet, two small unidentified parts of the aircraft were seen to break loose. The aircraft crashed into the water in an almost vertical dive north of Patience Island. Both the pilot and radioman perished in the accident. The pilot was identified as Lieutenant Commander John Randall Spiers, 31, of Philadelphia, PA. To see a photo of Lt. Cmdr. Spiers, go to www.findagrave.co,, Memorial #115359760, and 76036118. 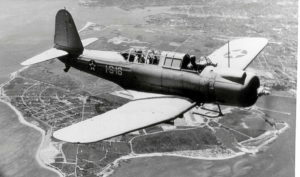 Both men were assigned to VS-42.